The number of co-op gaming apps on the iPhone is, slowly but surely, growing, and a new one is possibly on the way. 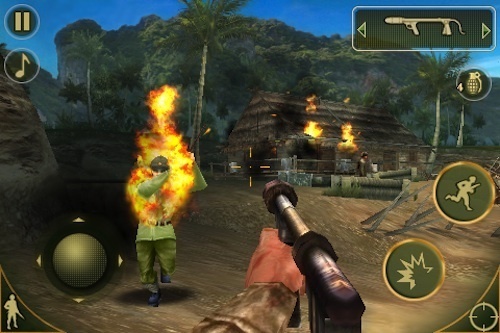 It seems that Brothers in Arms 2: Global Front, the sequel to last year's Brothers in Arms: Hour of Heroes iPhone port, will include complete campaign co-op for all 13 of the game's levels for two players. There's a catch, though: the co-op mode will not be available at the game's release. Does that mean co-op will be patched into the game later, or will it end up being left out altogether? We reached out to Gameloft, the game's developer, for clarification, but have yet to receive any word regarding whether or not the game will eventually have co-op. For now, chock this one up to a solid "TBD" (but hopeful) status.